As this weekend’s Grand Marshall of Festivities for the “AllaBammie” Grand Prix will be none other then Sir Charles, a.k.a. Charles Barkley who was once known as the Round Mound ‘O Rebound due to his enormous girth whilst having an unbelievable ability to snare an enormous amount of rebounds over his much taller adversaries. Yet, it was a long-long Time Ago when I saw Sir Charles cutting his swath towards stardom during his early years with the 76ers, way back in 1987 during Doctor J’s Swan Song year in the NBA; CRIKEYS! As I can still recall Barkley in his all white “uny” with a buzz cut before he went Air Jordan style... In what was then known as simply as the coliseum, before later being renamed Key Arena when the Seattle Supersonics still existed in the Pacific Northwest! 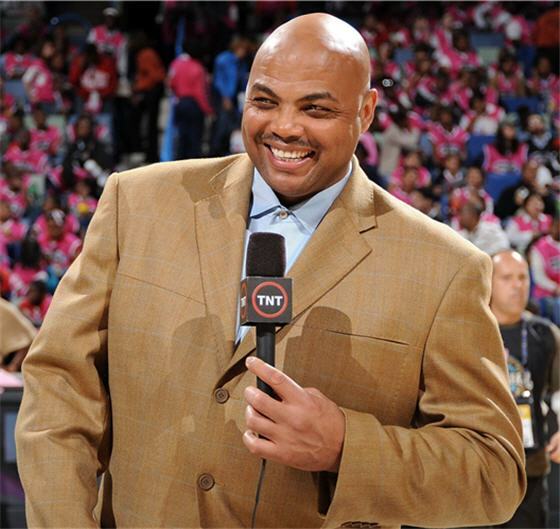 But I’ve been able to find very little regarding Sir Charles activities this coming weekend in his Home state, where he’s confessed to ‘Juan day wanting to dabble in Politics, even reportedly announcing his candidacy for Alabama Governor in 2014, albeit probably after his TNT Studio Analyst Dazes, eh?